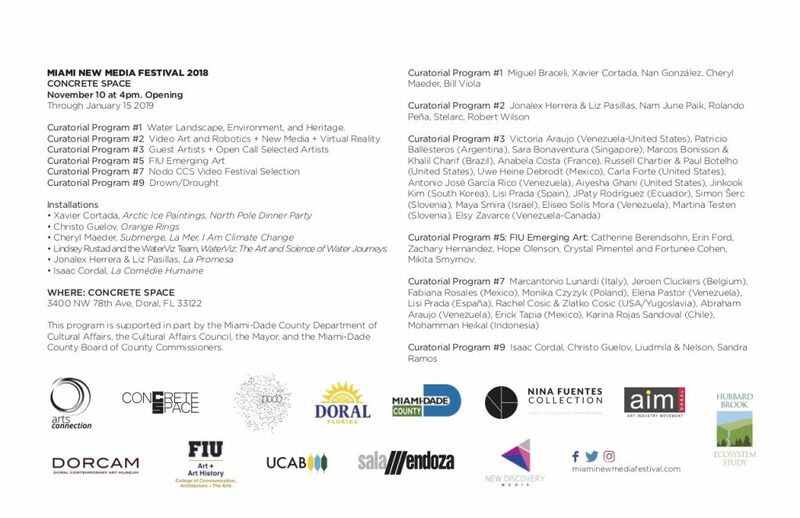 The 13th edition of this multimedia festival organized by Arts Connection Foundation and Concrete Space, with a wide selection of video art and installations by 70 artists from different countries. Starting on October 2, the festival is presenting shows and talks in San Nicolaas (Aruba), Bogotá (Colombia), Valencia (Spain), Rome (Italy), Santo Domingo (Dominican Republic), and Caracas (Venezuela). The exhibition also includes “WaterViz” a live streaming visualization from the Hubbard Brook Experimental Forest; and the virtual reality short docu-film “The Promise” by Jonakex Herrera and Liz Pasillas. 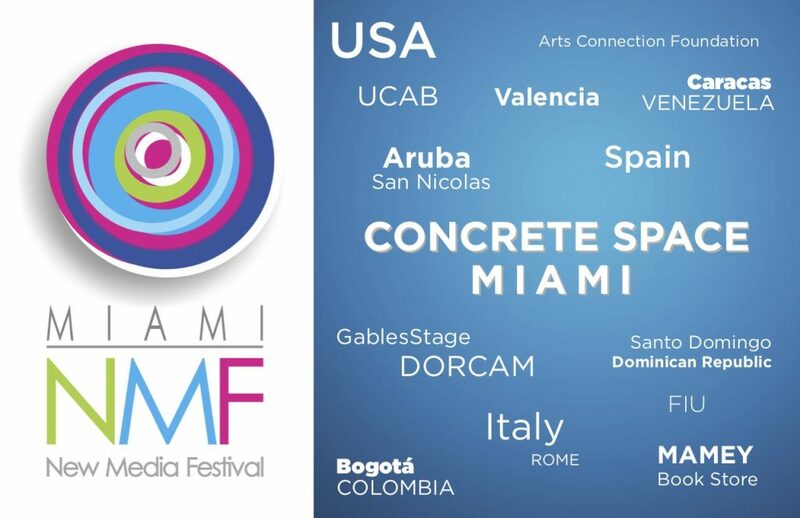 Created in Miami in 2006 by Arts Connection Foundation, the foundation of the Venezuelan artist and curator Andreína Fuentes, the Miami New Media Festival (MNMF) has as an incentive the artistic practice on the different possibilities and uses of video art and other media associated with the technology. Since its creation, it has presented video installations, digital art pieces in 3D, live music and performances, of more than 250 artists from 15 countries, from different themes. The program at Concrete Space also includes the forum “WaterViz: The Art and Science of Water Journeys”, on November 15 at 7 pm, with artists Cheryl Maeder, Xavier Cortada and Lindsey Rustad, researcher at USDA Forest Service; a video conference with artist Nan González, on December 1, 6 pm; and the panel “Talking About Water in the Creative Process”, on December 8 at 7 pm, with artists Nina Dotti, Cheryl Maeder, Xavier Cortada.